An instinctive passion for pastries, porcelain, and all-things-pretty has guided Cara Long through a multifaceted career as an entrepreneur, jeweler, and pastry chef. After graduating from the Kansas City Art Institute, Cara pursued a career as a professional studio artist, exhibiting her translucent porcelain installations throughout the country. 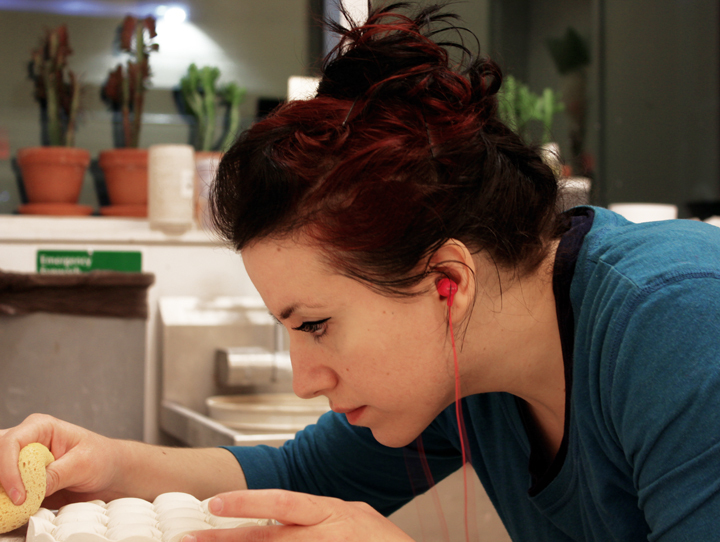 A nagging desire to escape the comforts of the Midwest led Cara to Philadelphia in 2011 to pursue a Master of Fine Arts degree in Ceramics at Temple University’s Tyler School of Art.